Bernadette Michelle's review"A total mess !" 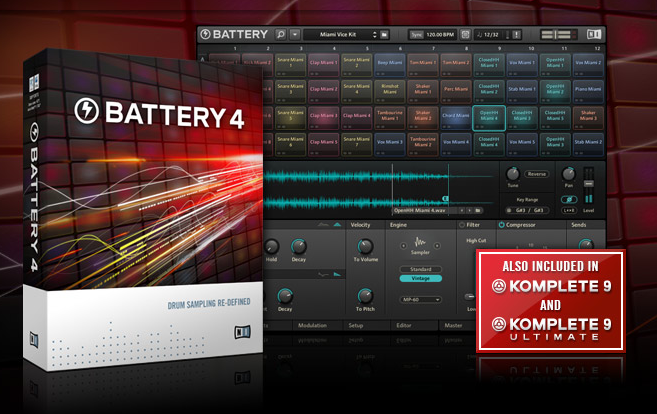 This version 4 of Battery is a total mess. A lot of things have regressed compared with Battery 3, and finally only little evolution. - It is no longer possible to rename several cells at once. - "Random" mode is now totally erratic, plus it lost some features. - If no sample is affected to a certain cell, there no longer is any visual indicator to show the cell is being played by the host. - Some cell colors are hard to distinguish from others. - Cells are too small and hard to read. - The envelope curve that used to be shown over the sample's curve is no longer there. - The cells no longer indicate the audio outs they are affected to, nor the key that triggers them. - linking cells to each other (for instance so that the kick and snare are triggered together whn pressing a single key) is now a pain, even if before it wasn't as easy as it should be. 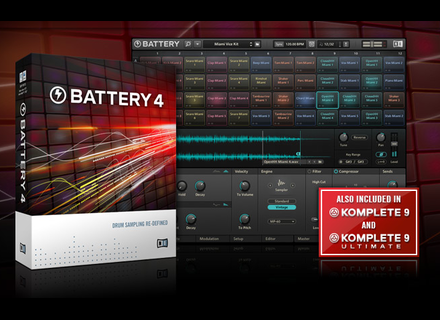 - No synthesis to emulate drum machines or create new sounds. - EQ is ridiculous and not intuitive. - No included flanger/chorus effect. - No test cell (to test sounds without disorganizing the current active cells ans so as to gain space). - Filter, saturation and transient designer sections were added, as well as automation.